Target [NYSE: TGT] CEO Brian Cornell is bullish on consumers as the company barrels into Q4 and the holiday retail season. The company’s Q3 earnings won’t be made public until November 11, but by all indications the results are going to be strong. “For the U.S. consumer, they’re at work, they’re seeing their wages rise, their confidence is strong. They’ve been very very active in the marketplace. Obviously our numbers have been very strong. I think this is going to be a really strong holiday season, and our focus is on keeping our market share and to like the consumer during the holiday season,” Cornell told CNBC in an exclusive TV interview. It’s the same tune Cornell’s been singing since August, and he says they aren’t seeing anything in the U.S. to indicate a change otherwise. Consumers are spending money and they’re purchasing across all categories. They’re focused online, and Target aims to help facilitate the process by getting aggressive with the elephant in the room, Amazon [NYSE: AMZN]—as well as the recent competitive surge from Walmart [NYSE: WMT]. "We want to make the busy holiday season easier for our guests so they can spend more time with their family and friends," said Target CEO Brian Cornell in a statement. 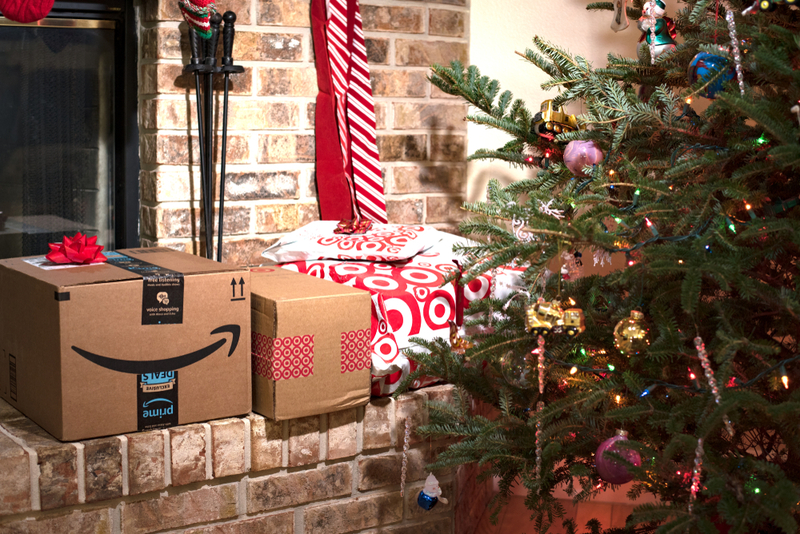 "From same-day delivery with Shipt, Drive Up, Free 2-Day Shipping and more, no other retailer can match the convenient delivery options that Target will offer this season. When you combine these services with our incredible assortment of exclusive brands, everyday low prices and skilled team, I'm confident Target will be America's easiest and most enjoyable place to shop for the holidays and beyond." In addition to offering convenient at-home delivery nationwide with Shipt, the retailer announced the expansion of its top-rated Drive Up service to nearly 1,000 stores by the end of October, ahead of schedule. With busy holiday schedules, Drive Up offers a convenient shopping solution for guests on the go. Guests place an order in the Target app and have their purchases brought to their car by a team member. Orders are ready within an hour, and are delivered to guests' cars within two minutes of their arrival in the parking lot. Target makes more than 250,000 items available, including holiday décor, the season's hottest gifts, household must-haves for out-of-town visitors, and more. · Order Pickup—Buy online and pick orders up in store on the same day for free. More than 250,000 items are eligible for this service available at all Target stores, and more than 95 percent of orders are ready within one hour. · Target Restock—With Target Restock, guests place orders for basics like diapers, paper towels and pantry staples by 7 p.m. Monday through Friday and have them delivered the next day for a fee of $2.99 or free for REDcard holders. · Delivery From Store—Guests can shop in store at select urban locations and have their purchases delivered to their homes that day for a flat fee of $7. This service is available in five markets: Boston, Chicago, New York, San Francisco and Washington, D.C.
Target is also making it easier than ever for guests to grab the perfect gift for everyone on their list with a curated assortment of more than 1,400 new and exclusive gifts, most under $15. Designed to evoke a festive holiday market, up to 30 displays throughout each Target store will draw guests in with colorful canopies and clear signing to help them make the most of their time and budget, such as "Under $5, $10 or $15." The collections of gifts and stocking stuffers will feature options from across Target's multi-category assortment, satisfying even the toughest person on guests' lists. In addition, Target will have the top toys of the season in newly expanded departments across the country. With deeper inventory and a bigger assortment featuring more than 2,500 new and exclusive toys—nearly double last year—Target's toy department will be home to the most sought-after national and specialty brands, all at everyday low prices. Guests will find nearly a quarter-million square feet of additional space for toys across more than 500 stores and a completely reimagined experience in more than 100 remodeled stores. It’s a brave new world we’re living regarding online shopping, e-commerce, and the power of the last mile delivery. Target’s bold moves demonstrate a commitment in a category that only seems to be trending up.